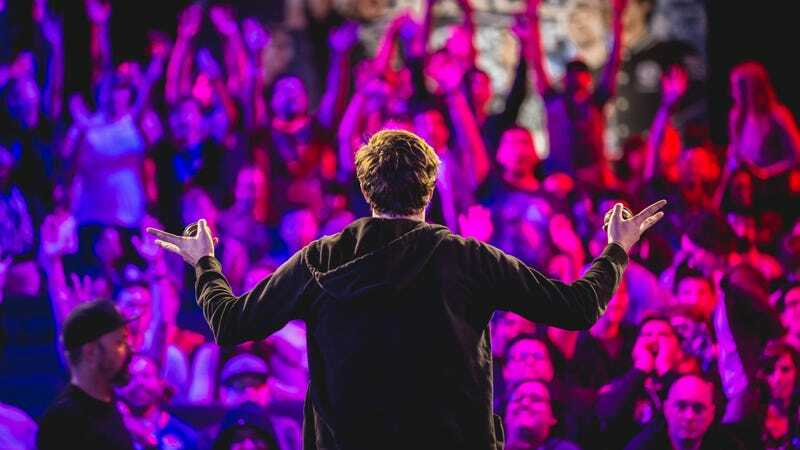 The League of Legends spring split playoffs are this weekend, and North America is headed to sunny Miami for the big dance. Normally the spring split playoffs are just a nice test of the waters between teams. The winner gets some good points towards worlds qualification, but the summer split has always felt like the one that had more impact, until this year. After his recent troubles, Doublelift is still going to play for Team Liquid in their finals match, a game that could finally break that old fourth-place curse. It’s going to be an emotional Sunday for sure. That’s the main event, but we’ve still got plenty of games to go around. Here’s what’s going on this weekend in wide, wide world of esports. The North American LCS plays its third place match today at 4 p.m. ET, while the finals between Team Liquid and 100 Thieves kick off tomorrow at the same time. Over in Europe, their third place match-up starts right now at 11:00 a.m. ET, while the finals between G2 and Fnatic take place a little earlier on Sunday morning at 10:30 a.m. ET. Find it all on the Riot Games Twitch channel. The last set of games for week 1 is this evening, starting with the Florida Mayhem and Philadelphia Fusion at 4 p.m. ET and Houston v. Boston at 6 p.m. ET. The day ends with a likely barnburner of a match between New York and London at 8 p.m. ET. Follow it all on the Overwatch League Twitch channel. Week four of the Rocket League championship series starts at 3:00 p.m. ET with CLG and Out Of Style in North America, while Europe gets underway tomorrow at noon ET with a match between Complexity and Excel. Check out the vehicular aerobatics and keepie-uppies over at the Rocket League Twitch channel. Week 8 of the HGC is underway already, and the action continues with Gale Force Esports against LFM Esports at 5:00 p.m. ET today. Sunday kicks off at the same time with Team Twelve and Simplicity. Follow it all over at the Heroes of the Storm Twitch channel. Noods Noods Noods in Oakland has an interesting name, thanks to its cup noodle-based sponsorship, and it starts later today at 2:00 p.m. ET for Melee and Smash 4 pools. The noodle-infused Smash will be underway on the Esports Arena Twitch channel, and you can follow the bracket on the tournament’s Smash.gg page. The Brussels Challenge is another on the list of ranking events for the Street Fighter Capcom Pro Tour, where competitors like Go1, Verloren, Problem-X, Oil King and Bonchan are gathering to scrap it out. In the Dragon Ball FighterZ bracket, there’s also potential for a Go1 v. Leffen match-up, a fight plenty of FighterZ fans have been eager to see. Head over to the tournament’s Smash.gg page for more information and streams. The Gears pro circuit is in Las Vegas this weekend, as teams tussle over virtual chest-high cover for pro points and prize money. Matches start today at 1:00 p.m. ET over on the Gears of War Twitch channel. Did we miss anything? Any local tournaments you want to shout out? Got a favorite for this weekend’s LCS finals? Let us know in the comments!